All Jackpots Casino is a part of the Jackpot Factory group, which also owns another of our partner sites – All Slots Casino. All Jackpots was launched in 2003 and operates under the license issues by Kahnawake Gaming Comission. The casino operates under software provided by MicroGaming, which is known as the number 1 gambling software provider in the industry. Enjoy a chance to choose from more than 350 games, all of whom feature high quality graphics and provide an exceptional gaming experience. Downloadable version – download the casino client and launch it anytime with a single click on the icon from your desktop. Instant Flash version – enjoy casino games directly from your browser. A great way to play using a Mac and Linux powered computers. You’ll find more than 350 games offered at All Jackpots Casino. The range of games includes slots, table games such as blackjack and roulette as well a fair bit of games that can’t be found as often, for example, Red Dog. 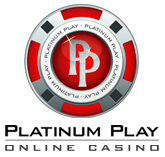 Let’s take a look at some of the featured slots and variations of table games along with other games that are offered. The Dark Knight – one of the big slot released by MicroGaming this year. This game is based on the big hit movie Batman and visualizes all the symbols from the movie, included the main one, Batman himself. Win a huge progressive jackpot and benefit from the 243 ways to win feature. Mega Moolah – one of the oldest and most popular progressive jackpot slot game. Enjoy action over 25 pay lines and enter the bonus game where you can win one of the 3 progressive jackpots. HitMan – a 15 pay line video slot machine that is created after the popular console game with the same title. Experience great quality graphics and benefit from the high RTP in the industry. ThunderStruck 2 – Norse Mythology based slot machine that features 243 ways to win. Win up to 20 free spins with either a 2x or 3x multiplier. Cashapillar – a 100 pay line, 5 reel online slot game offering 30 winning combinations, a wild symbol and free spins feature. You’ll also be able to use the gamble feature to double up any winnings. BlackJack – Vegas, Downtown, Atlantic City, Spanish, Big 5, Crazy 21, Spanish, Pontoon and much more. 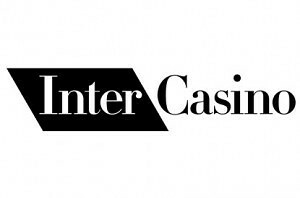 Enter your account number at casinos homepage and your bonus will be credited within 3 hours! Following common practices, this bonus is a subject for play-through requirements, meaning that you will have to wager a certain amount of money before it can be withdrawn. This one features a 30x bonus requirement, meaning that to clear the full $200, a wager of $6,000 will be required at eligible games. What are those? Keep on reading. While most of the games will contribute wagers made playing them towards fulfilling the requirements, some of them will only count as a percentage of total wagers made. Join All Jackpots Casino and claim your $200 Free Now!